The BabyCare program improves pregnancy and birth outcomes by providing home visits from registered nurses to high-risk pregnant women and infants up to 24 months of age. The program provides free intensive case management, coordination of care, and education about prenatal care, birthing, infant care, parenting and community resources. Early Intervention (EI) provides a comprehensive, family-centered early intervention system for children. 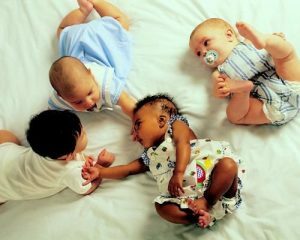 The Infant and Toddler Connection of the Roanoke Valley provides early intervention support and services to infants and toddlers from birth through age three who are not developing as expected or who have a medical condition that can delay normal development. 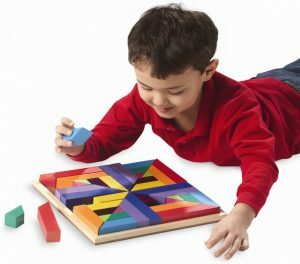 Developmental delays can occur in the following areas: cognitive, language, motor, adaptive/self-help, social emotional, hearing and/or vision. The focus of EI is to provide supports and services for babies and their families so that families can help their child learn during everyday activities and routines. The Lead Case Management program prevents and treats elevated lead levels in children age 6 years old and under. When a child is diagnosed with elevated lead levels, a physician sends a report to the health department. A team of a Public Health Nurse and an Environmental Health Specialist responds to provide case management and a home assessment for the child. The goal is to identify and control the source of lead in the child’s environment, whether it be chipping paint, lead water pipes, contaminated soil, or another source, and assist the family in lowering the lead levels. The team is able to do the same assessment in other residences where the child spends a significant amount of time. The assessment includes instruction on care processes for the interior and exterior of the home. 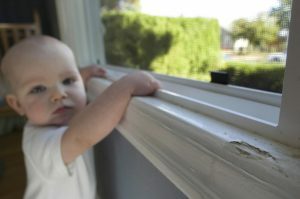 Eligible referrals are made to Lead-Safe Roanoke for the elimination of lead hazards from inside or outside the home and can include new windows, painting, or soil removal and replacement. Ongoing case management is provided to educate the parents on the child’s nutritional needs and to monitor the lead levels with the child’s physician until it can be maintained at a non-toxic level. The goal of the Virginia Family & Fatherhood Initiative (VFFI) is to empower fathers, mothers, parents, and caregivers to improve the well-being of their children by aligning activities, mobilizing resources, advancing public policy, and measuring impact. The initiative focuses on strengthening fathers, mothers, parents, and caregivers to co-parent and work cooperatively to improve family life and long-term public health outcomes for their children. VFFI encompasses 5 integrated services to promote whole family thriving: fatherhood support, motherhood support, co-parenting navigation, case management, and youth development programs. Case management can include assistance for employment, education, health, transportation, housing, domestic violence and other wrap around services. For more information, call (540) 283-5050.